Can a judgment be renewed during bankruptcy in California? The court in In re Lobherr addressed whether renewal of a state court judgment while a debtor is in bankruptcy constitutes a violation of the automatic stay. 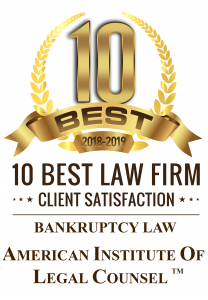 When a bankruptcy petition is filed the automatic stay arises preventing creditors from continuing debt collection against the debtor, the debtor’s property, and the bankruptcy estate. Specifically, once a bankruptcy petition is filed creditors, with limited exceptions, cannot continue judicial, administrative, or other actions or proceedings which could have been initiated before the bankruptcy filing; recover on a claim against the debtor that arose before the bankruptcy filing; or enforce a judgment that was obtained before the bankruptcy filing. Moreover, the 9th Circuit has interpreted the automatic stay quite broadly while reading exemptions to the stay narrowly. California law allows creditors to enforce a judgment for 10 years from the date of entry of the judgment. Before the 10 year limit expires creditors must file an application to renew the judgment to extend enforceability of the judgment. What happens when the judgment will expire during bankruptcy? Section 108(c) of the Bankruptcy Code states that if non-bankruptcy law (for example, California state law) sets a period for continuing or commencing an action against the debtor, and that period has not expired before the bankruptcy filing, that period will not expire until 30 days after notice of termination or expiration of the automatic stay. Since renewing a judgment is the continuation of a proceeding against the debtor it is therefore a violation of the automatic stay to renew a judgment while the automatic stay is in effect. However, should the 10 year renewal deadline fall within the time-span of a debtor’s bankruptcy, Section 108(c) tolls the deadline for renewing a judgment while the debtor is in bankruptcy, giving the creditor up to 30 days after notice of termination of the automatic stay to file an application to renew the judgment.